Mary Stewart Atwell and Alison Espach talk with short fiction guru Lydia Davis about transitioning from inventing worlds to inverting the real one; writing dream stories; and translating Madame Bovary. 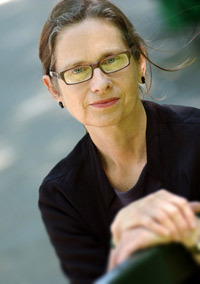 Lydia Davis is the author of the short story collections Break It Down, Almost No Memory, Samuel Johnson Is Indignant and Varieties of Disturbance, as well as the novel The End of the Story. 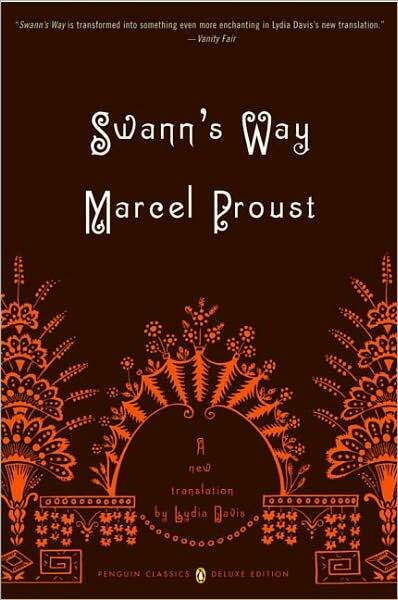 She was a 2003 MacArthur fellow and was also named a Chevalier of the Order of Arts and Letters for her translations from French, including Marcel Proust’s Swann’s Way. She lives in upstate New York, where she is currently at work on a new collection of stories, as well as a translation of Gustave Flaubert’s Madame Bovary. 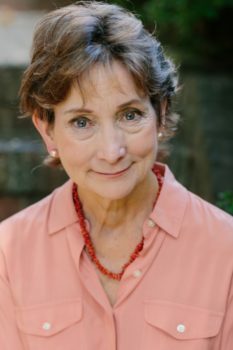 During a recent visit to Washington University in St. Louis, Mary Stewart Atwell and Alison Espach sat down with her to talk about children’s books, the distinction between fiction and nonfiction, and Samuel Beckett’s notebooks, among other things. Mary Stewart Atwell and Alison Espach: Do you remember the first book you read as a child that struck you? Lydia Davis: Well, I did read some really, really good books that did mean a lot, like The Secret Garden and A Little Princess, The Garden Behind the Moon, and a few books by George McDonald, like The Princess and The Goblin. They’re just very beautiful tales, and they let me lose myself in another world. A story like A Little Princess has a lot of reversals that really don’t have any logical explanation. Do you think that fabulism and dream logic was an early influence on your work? But there was always a reason for what happened. There was dream logic in some of them, but in A Little Princess there is logic, even if it depends on amazing coincidences. I’m beginning to like dream logic in this little series of dream pieces I‘m writing, but I also love the way real life works. I like actual logic. So do you see a continuity between the way things happen in real life and the way things happen in dreams? Or do you think there’s a lot of crossover? It’s not that dreams are like real life but that things that happen in real life, if you select and arrange, are so dream-like. But it all depends on how you write them and how you select from the experience. You’ve been publishing for thirty years. Do you think of your published work as a kind of public record of your life? To put it another way, can you talk about the progression of your work and how you think about your early work when you look back on it? I can, but I don’t see a clear line. I certainly haven’t gotten more conservative over time, and I haven’t gotten more experimental over time either. I’ve just tried new things, but I was trying new things back in the beginning too. 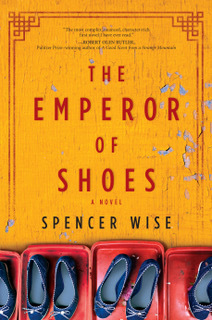 I suppose there has been more of a move away from fiction–I guess for a fiction writer that’s a little unusual. Toward nonfiction, toward material from real life. So whereas in the beginning I would think, “Well, if I’m a fiction writer, a writer of short fiction, my mission is to invent and make up things,” now I define myself differently. I still define myself as a fiction writer for lack of another term, but I’m not really inventing. I’m taking what I see, the material I’m given, and arranging it, and really doing very little invention. In the last book Varieties of Disturbance (FSG, 2007), there is very little in the stories that’s invented; the only thing invented is the narrator. She—she or he—is invented, but everything else is taken from life. So in a story like “Cows,” which is very closely observed and without much of a narrative presence, is that an invented voice, or is that your own voice? No, in that case I’d say it really is nonfiction. Well, it’s really hard to say. When I say, “We looked out the window,” it’s slightly an invented character. It’s not me writing an essay as myself about the cows in a nonfiction form. But there’s very, very little fiction left. I wonder if we could connect this to your work with Proust. It’s so unclear how much of In Search of Lost Time is fictionalized and how much is from life. Do you think of the way he fictionalizes his life as a conscious influence? I find it interesting, but he wasn’t a formative influence. I did read him a long time ago, but not even all of Swann’s Way. But it is absolutely true that he’s doing some very interesting work with fictionalization—he’s making it appear as though it’s a reminiscence of a man’s life, and yet it’s a piece of fiction, but the piece of fiction is based very closely on his own life or takes a lot from his own life, so you have a sort of double illusion. It’s not Proust talking about his own life, but adopting the form of a writer who is narrating his own life. It’s very tricky. You’ve mentioned Beckett as an influence, and later today you’re going to look at his notebooks [at the Washington University library]. Is there anything that you’re hoping to find in them? Well, a friend of mine has been working on his letters—on a collection of his letters—and says that his handwriting is incredibly hard to read, so I’m not actually sure how much I’ll be able to read of what’s in the notebooks. I’m really just interested to get this close to the actual notebooks, to see what they look like and see what his handwriting looks like. It’s a form of worship, you know—if you can go and be in the presence of such an artifact, that’s good enough. It’s like a piece of bone from a saint. In an earlier conversation, you also mentioned Beckett’s short prose pieces. Is there anything going on with short short fiction or flash fiction right now that you find exciting? Well, for a while I wondered how different they could be. They’re so short, and that’s such a limitation already. But of course that’s a ridiculous question; they’re all very different. I’m a pretty picky reader and it takes a lot to interest me, but there are two recent writers of short fiction who I like. One is by J. Robert Lennon–I like his stories a lot, I think they’re funny and very engrossing. Another name is Daniel Grandbois, who does something very different. Whereas Lennon is really telling it straight, telling straight little stories, Grandbois is whimsical and absurd and very strange. But those are two that are new and interesting, and then there’s another whose name is Phyllis Koestenbaum. She’s mostly a poet, but she wrote a very nice book of short pieces. Can you talk about what led you to the short short form? Alice Munro says in her intro to The Selected Stories that she had to write short fiction around the obligations of her life as a mother. I wonder if there’s a way in which this form is suited to contemporary writers’ lives because most writers have so many other commitments, like teaching and family. Do you think there are particular pressures in your own life that lead you toward the short short form? Not really, because at the time I started doing them I had absolutely no pressures. I was living as a caretaker in the south of France and not working at any job. I didn’t have any money either, but there was nothing I needed money for except to eat. It wasn’t really stress-free because you always have your own stresses—why aren’t you writing more, why aren’t you writing better—but no external life pressures, so I think it definitely wasn’t in reaction. I really think it’s a temperamental thing. Working with students, I see that clearly some just have this long reach, they write long and see big visions, and then others are just temperamentally attuned to the short form. Also some of the writers of the short form that interest me, like Peter Altenberg, were writing at the beginning of the twentieth century when the pace of life was very leisurely compared to now and the demands, the interference, just weren’t there in the same way, and yet they were temperamentally attuned to the very short form. But there may be some general way in which it’s true. There certainly didn’t used to be courses in writing flash fiction, so maybe the general interest is responding to the change in pace, but individually I think writers write what they like. Is there anything going on in the current state of short short fiction that you feel is a movement away from what’s good about the form? Well, if nothing good was coming out of the proliferation of short short stories, I could say it’s just a way for people to write less and call it something. But the fact that good, rigorous, demanding work is coming out of it; very skilled work is coming out of it. And of course there are so many different ways to approach the form. In regard to “French Lesson No. 1,” you said that you wanted to see if you could teach French in a story. I was wondering how you felt about the work inspired by the Oulipo, and if you often set yourself tasks when writing short short stories. Not really. I think it’s very interesting to do that, and it’s a good idea to do that, especially if you’re stuck. You should never have to really be stuck for something to write, and that can really loosen you up. I don’t think I do that, but any time I say I don’t do something, then the next day I realize that I do do it. But I haven’t ever actually omitted the letter “e” or anything. When writing your novel, The End of the Story, did you have to change your style or your usual writing habits? Well, I was writing in a consistent style for a much longer stretch, and that was new. The challenge of it was having to stop one day and reenter it the next day with the same kind of spontaneity and vigor. When you’re writing short pieces you can usually do the whole thing in an hour to three hours at a time, but if you have to stop and then pick it up the next day you have to get back into the mode of writing, and I found that very difficult. But my style per se didn’t change. I think because you’re always reading what you’ve just done, your ear gets you back into the style. We’d like to end by talking about your upcoming work. Do you have any thoughts of writing another novel? It’s not looming up ahead of me. I never know, but it’s not one of the next projects. And with the dream stories, do you see them being published separately, or as part of a series? Some of them are dependent on a certain order. I haven’t yet decided. I think they won’t be published separately, but will be in the next book as a group, probably. Unless I have a section of eight dream pieces, then other stories, then another section. It’s a little hard to know at this point. Even figuring out what to call them is hard. I think I’d want to identify them as dream pieces, but whether I would do that in the table of contents or on a separate title page I don’t know. You’re also working on a translation of Madame Bovary, and you’ve said that it was a less obvious choice for you than the Proust. You’ve also said that you prefer Flaubert’s later work, and I was wondering if you could talk about why that is. When I read Bouvard et Pecuchet in my twenties, it just seemed so much fresher, so interesting and bizarre and unusual. I guess I even then resisted usual plots a little bit. I do think Madame Bovary is a wonderful novel, but there are two reasons why I was a little disappointed the first time I read it. One was I was reading it in translation, and I don’t know what translation I was reading, but that would have made a tremendous difference. I’d always heard that this was this remarkable novel–remarkable for the way it was written–and I read it and thought, “This isn’t remarkable for the way it’s written.” But also it just seemed like another story about a man and a woman, whereas Bouvard and Pecuchet really are characters out of Beckett–the story is outside of time, it doesn’t feel as if it was written when it was written. They have their lunch on a park bench and they get to talking and end up living together in the country and studying different things. It just doesn’t belong to anything conventional.